If you suffer from dry eye, you know the discomfort and disruption it causes each day. That’s why Todd Cohan, O.D. created the Midwest Dry Eye Center at Forsight Vision. He has been treating patients with dry eye for more than 10 years. With the increased prevalence in dry eye due to our work environment, the importance of adding advanced diagnostic techniques and treatment procedures to manage dry eye became a priority to the practice. This unique treatment center serves Long Grove, Arlington heights and Buffalo Grove while provides our optometrists with the resources and tools to precisely diagnose and provide relief for your dry eye symptoms. Overall vision health requires healthy tears to nourish and protect the eye’s surface and provide clear vision. Inadequate amounts or low-quality tears lead to the condition known as dry eye. It is a common and often chronic problem affecting millions of people in the U.S. Experiencing Any Of These Dry Eye Symptoms? Take Our Dry Eye Quiz! 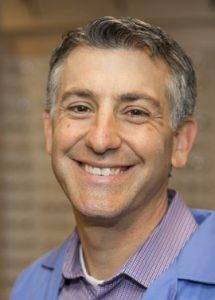 Meet Our Dry Eye Doctor | Todd Cohan, O.D. Todd Cohan, O.D. received his Doctor of Optometry degree from the Illinois College of Optometrists (ICO) in 2001. Using his personalized approach to vision care as the foundation, he opened his own private practice, Forsight Vision, in 2007. Dr Cohan has always embraced new technologies to provide the most comprehensive vision care for his patients. Dr Cohan has been treating patients with dry eye for more than 10 years. More About Todd Cohan, O.D. 86% of patients with Dry Eyes have symptoms of Meibomian Gland Dysfunction, Lipiflow uses heat and gentle pulses to clear the clogged glands preventing an underlying cause of discomfort. 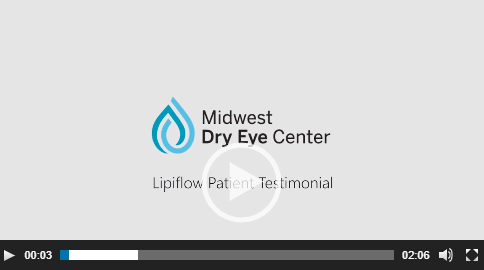 LipiFlow, A Johnson & Johnson product, is the only device cleared by the FDA for treatment of Meibomian Gland Dysfunction, with over 30 clinically reviewed studies demonstrating its efficacy and safety. You may have heard of the benefits of exfoliation, but did you know that exfoliating your eyelids is a thing? Blepharitis is the inflammation of the eyelids causing blockage and even infection, causing redness, irritation, burning, tearing, and more. Blephex is the only clinician treatment for blepharitis, using a microsponge to gently spin and exfoliate the eyelids and lashes. For patients with severe dry eyes that causes damage to the the eye, Amniotic disks provide a new solution to the discomfort and vision issues related to severe dry eyes. Using amniotic tissues placed on the eye like a contact lens, Amniotic disks reduce inflammation, scarring, and improves healing. PROKERA® is used by eye doctors to treat eye diseases such as keratitis, corneal scars, chemical burns, corneal defects, partial limbal stem cell deficiency and many other ocular surface diseases with inflammation. InflammaDry is the only in office rapid test that allows your eye doctor to assess your tears and look for MMP-9, an inflammatory marker that is always high in patients with dry eye disease. In a simple ten minute test, our eye doctor will take a small sample of tears from the lower eyelid lining. This test allows Dr. Cohan to more accurately diagnose your symptoms as being caused by dry eyes. The Midwest Dry Eye Center at Forsight Vision will take you through a comprehensive eye exam and evaluation for dry eye that includes state-of-the-art testing with the Oculus Keratograph® 5M. This non-invasive dry eye imaging device measures and analyses tear film (non-invasive tear film break-up time and the tear meniscus height measurement and evaluating the lipid layer) and Meibomian glands, leading to a specific diagnosis and treatment plan best suited for your condition. Many patients with Dry Eyes will say they have tried contacts that were recommended for people with dry eye, but they were always uncomfortable. And while contact lenses have made drastic improvements over the past few years with the newest versions of daily disposables incorporating highly breathable materials, for patients with severe dry eyes, that just is not enough. At the Midwest Dry Eye Center, we fit custom scleral contacts, which are considered the ultimate contact lens for moderate and severe dry eye sufferers. Also serving Arlington Heights and Buffalo Grove. However these symptoms may also be related to other conditions or medications. Common examples of conditions that are often confused with dry eyes are allergies, infrequent blinking, eye surgery, medications, STD's/STI's, contact lens complications, and something stuck in your eye. That is one of the reasons that Dr. Cohan has invested heavily not only in treatment options for dry eyes, but also in diagnostic tools. More specifically our dry eye center uses InflammaDry and the Oculus Keratograph® 5M to ensure accurate diagnosis of the symptoms that you are experiencing. Is There Anything I Can Do To Prevent Dry Eyes? Remember to blink regularly and fully and take breaks often when on a computer, cell phone or when watching television. During times of the year when there is less humidity, a humidifier might be helpful to provide more moisture in the air. While there are many things that can be done to reduce the severity and frequency of your dry eye symptoms, it is important to treat the underlying cause of dry eyes. Buffalo Grove, Vernon Hills, Arlington Heights, Lake Zurich, Mundelein, Deerfield, Palatine, Wheeling, Hoffman Estates, Schaumburg, Bartlett, Des Plaines, Elk Grove, Itasca, Morton Grove, Mount Prospect, Niles, Northbrook, Roselle, Rosemont and Barrington.